Grace Elting Castle set her debut mystery within the rural beauty of Oregon’s Siletz River Valley, blending in the early history and culture of the tribes now known as the Confederated Tribes of Siletz Indians. 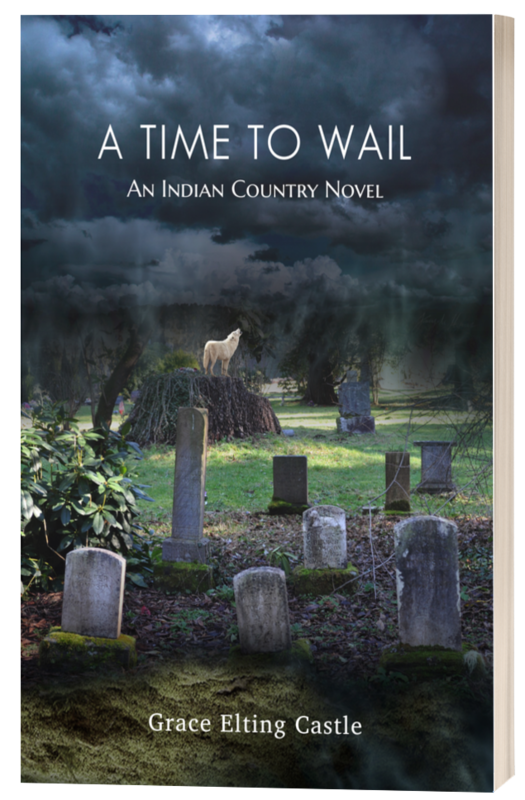 As a teen her protagonist, tribal member Ellie Carlisle, is frightened away from home by grave robbers in local Indian burial grounds. Years later she receives messages from her dead son and returns to the reservation to stop the thieves. The Dutch Eltings, Jan and Jacomyntje (Slecht), were actively involved in the early history of New York’s Hudson River Valley. Their descendants have been farmers, doctors, lawyers, millers, grocers, carpenters, preachers, teachers, bankers—the gamut of occupations. But no matter the century, crisis, or call, Eltings answered. In this tribute book by Grace Elting Castle, also a descendant, you’ll find surnames that may surprise you: Patton, LeFevre, Deyo, DuBois, Eltinge, Hasbrouck, Crispell, France, Wygant, Van Wagenen and many others. All are Elting descendants. $35 with free shipping (within USA) Contact grace@graceeltingcastle.com for shipping charges outside the USA.